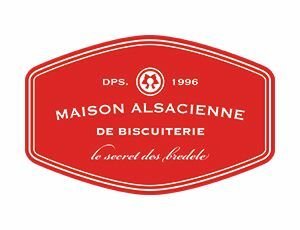 Since his foundation, Maison Alsacienne de Biscuiterie intends to preserve and to reveal all the treasures of the biscuit's gastronomy in Alsace. For his recipes Maison Alsacienne de Biscuiterie selects ingredients of high quality and irreprochable freshness. That is why all of his biscuits are a real enjoyment of senses. In Maison Alsacienne de Biscuiterie "Bisuiterie Boulangers", "Biscuiterie Cathédrale" and "Biscuiterie" on the Quai de la Poissonnerie,you will have the apportunity to discover the Bredele, finest traditional biscuits and Alsatians spice-cakes cooked according to an old local method. And of course, you will certainly enjoy the typical cakes named Beerawecka and Kougelhopf.